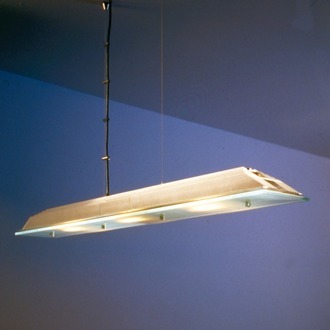 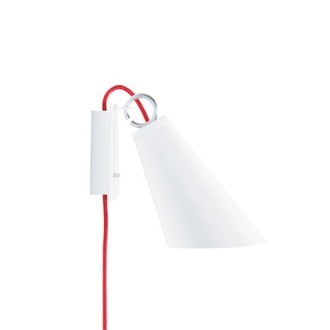 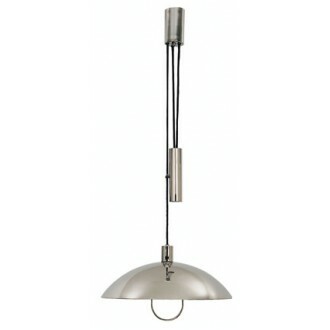 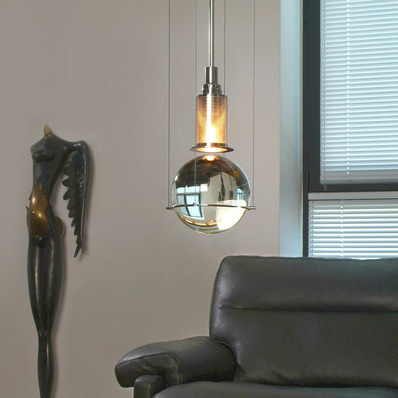 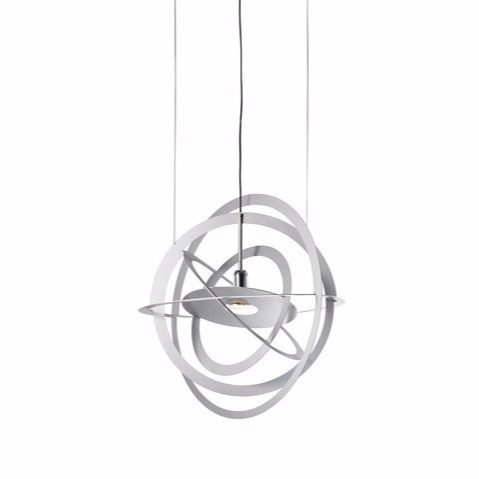 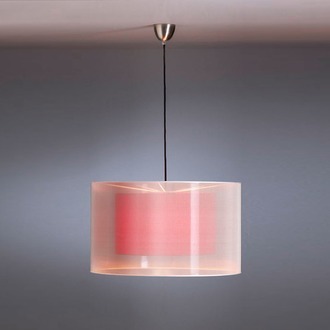 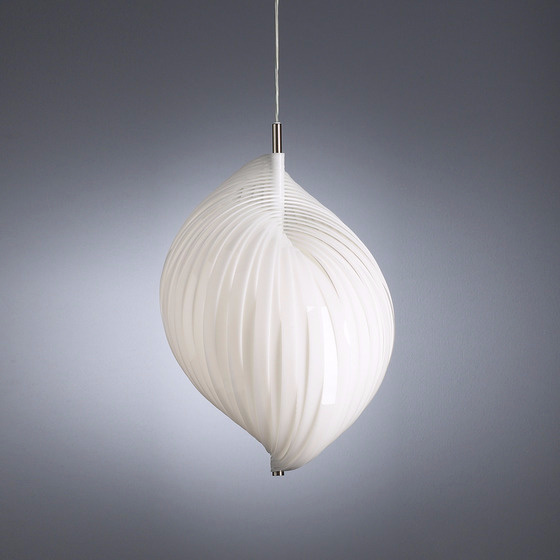 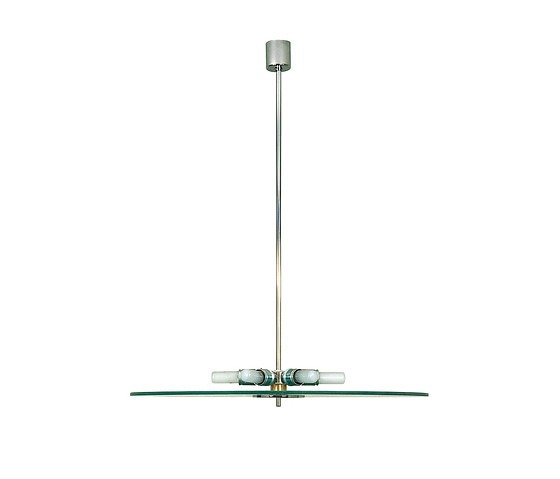 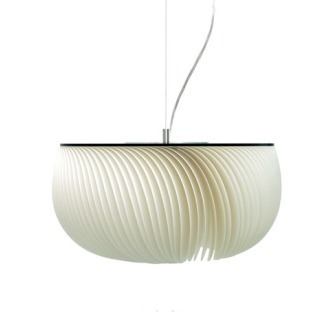 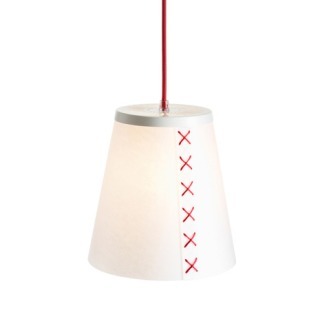 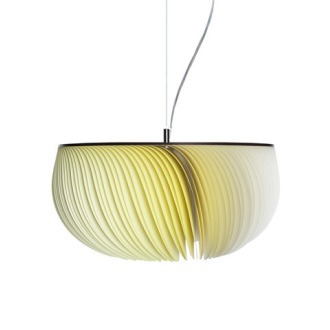 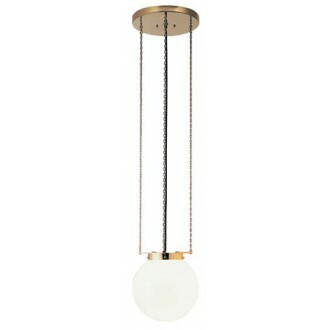 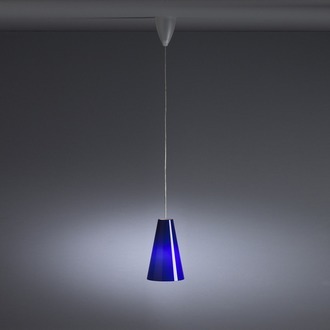 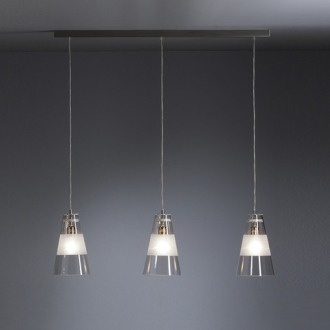 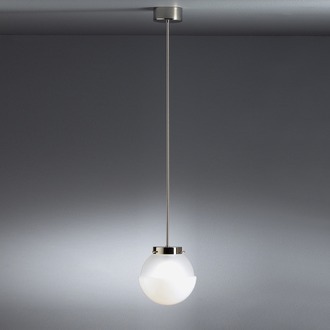 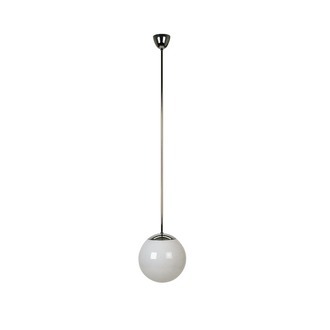 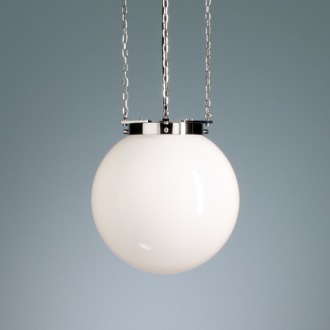 This simple pendant lamp, consists of a thick plate of frosted glass held centrally by a chromium plated rod. 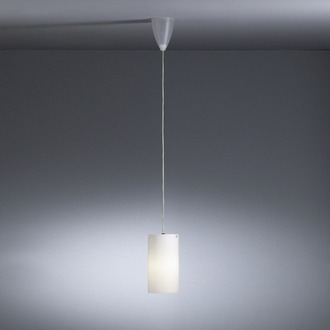 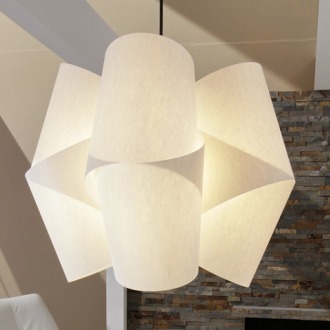 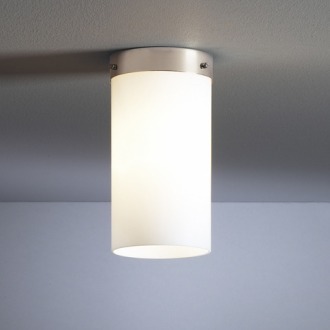 This fitting gives a general light source in rooms with high ceilings. 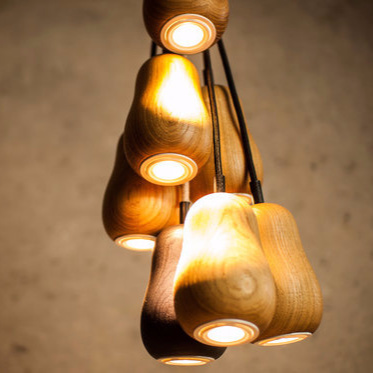 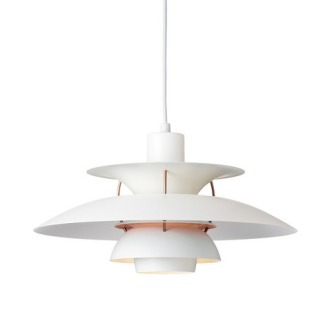 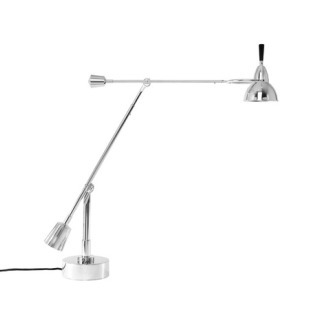 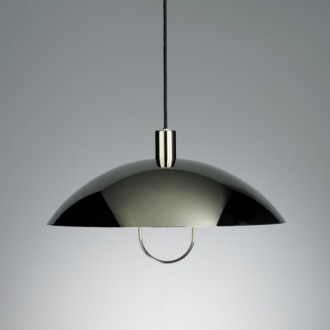 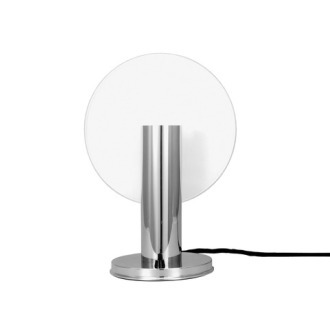 The lamp was designed in 1928 in two different sizes (diameter 500 or 700 mm). 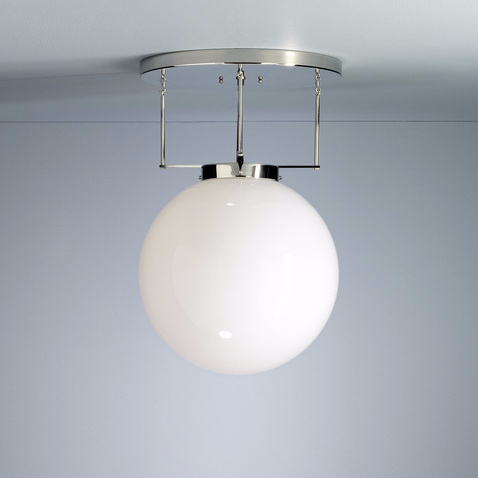 Metal chrome plated, frosted glass plate.